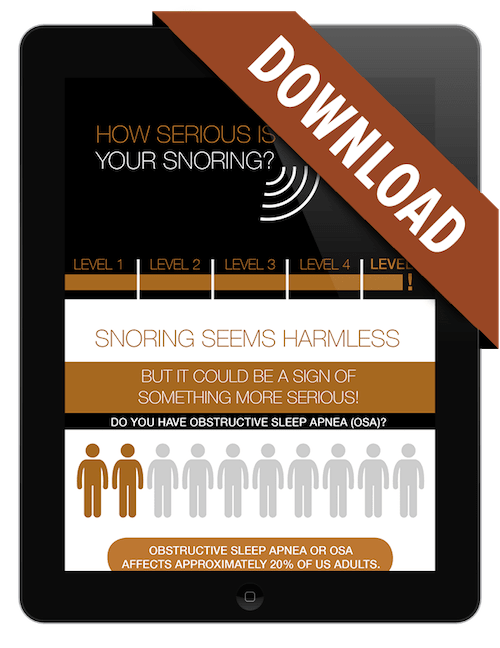 Is snoring a big deal? Uncover the mysteries of sleep apnea. Download your free infographic to learn more about sleep apnea. It could save your life! I am a current part of Dr. Walker's team but was a patient long before I started working here. Dr. Walker is a kind, professional dentist that takes pride in his office and his dentistry. I would and do recommend him to anyone that I can. How can Dr. Walker help you? Sleep apnea exhibits itself by compromising the airway, which can be life-threatening. We screen every patient and prescribe a 2-3 night home sleep test for our patients when indicated. Dr. Walker and a board-certified sleep physician read the results and treatment modalities are discussed. The two most prescribed treatments are CPAP and a mandibular advancement device (MAD). Once the severity of sleep apnea is determined, Dr. Walker prescribes the Micro2 mandibular advancement device. It is the only one made in the physiologic position (harmony of the teeth, joints, and muscles) for ultimate comfort. Since 4 out of 5 patients are CPAP intolerant, the Micro2 is the best choice and easy to travel with. OSA is serious and life-threatening. Please contact us today to book a consultation.